Make sure oven racks are in the middle of the oven, then preheat oven to 450F, and line baking sheets with parchment paper (this eliminates the need for oil!). Slice potatoes in long strips about 1/4-1/2 inch thickness and add to large bowl. Add your seasoning to the fries and toss to evenly coat. Spread them onto the lined baking sheets in one layer and bake for 25-30 min. 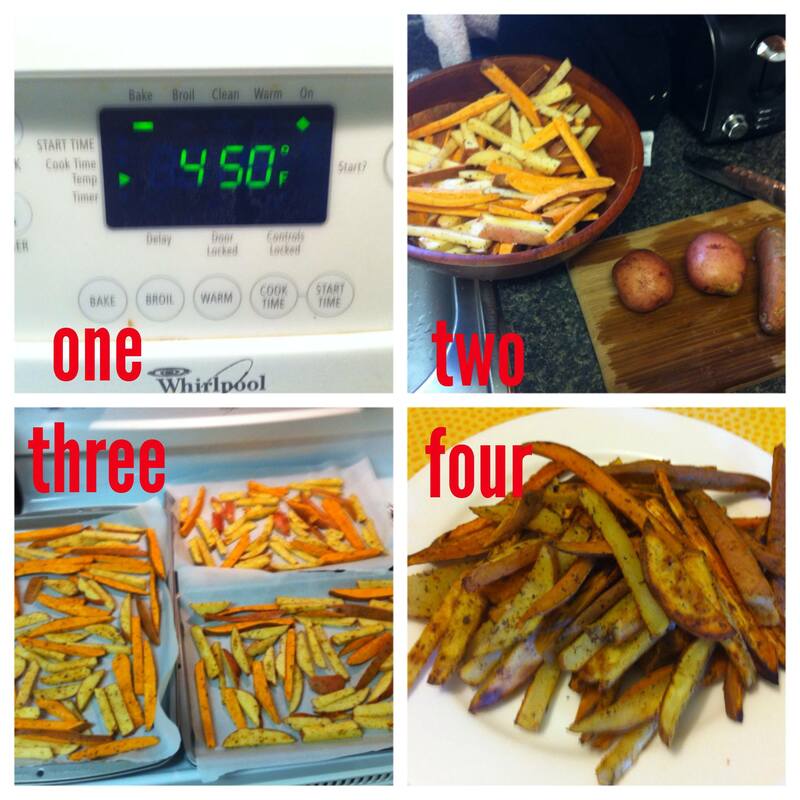 Be sure to flip the fries 1-3 times during baking to make sure they get golden all over. When the fries are softer and cooked through (taste test! ), then pull out of oven, let cool, and enjoy!